Valerie, welcome to my Christmas series of Writers on Reading. I’ve been looking forward to these interviews like—well, excuse the cliché—but a kid at Christmas! 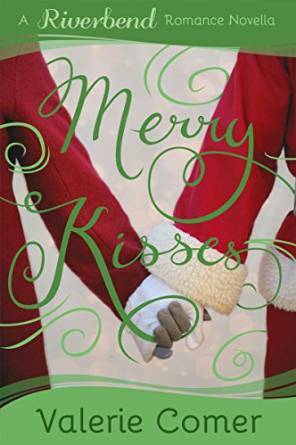 So with your recent Christmas story Merry Kisses released in November. What is your favorite part about a Christmas-themed story? I love the various ways authors can draw the reader to feel anew the awe and wonder of Jesus' birth. Whether it's the hush of a candlelit Christmas Eve service, a parent telling the age-old story to a child with a nativity set, or a solitary character coming to grips with the immensity of God's gift to mankind under a moonlit sky. How nicely put, Valerie! What do you look for when selecting a Christmassy novel or novella to cozy up with this month? Snow. While I enjoy stories set in tropical parts of the world at other times of year, a Christmas story needs cheeks brightened from crisp winds. It needs snowflakes drifting, just visible in the dark night against the glow of streetlamps. Maybe it's the Canadian in me, but a Christmas story needs snow angels and tobogganing and sleigh rides. Hah! I love that. You are soooooo right! I don’t know about you, but many of us associate this season with traditional baking. I don’t think a Christmas novel would be complete without those special scents floating around in your head. What are your favorite Christmas goodies to read or write about? I agree. A Christmas story isn't complete without at least one round of Christmas baking and hot chocolate! I associate the scents of gingerbread cookies with Christmas, and try to bring the reader right into the baking experience with the delectable aromas of warm molasses, ginger, and cinnamon. Yum! Well…I know what I’ll be doing tonight. That sounds too delicious. What is on your Christmas fiction to-read list this year? And what is your ideal Christmas reading experience? The ideal experience? I'm curled up in an easy chair between the Christmas tree and the flickering fireplace. A purring kitty is cuddled into the quilt on my lap, and a mug of steaming cocoa rests on the side table with a cookie or two on a poinsettia-wreathed plate. Carols waft from the mp3 player, setting the mood for the next novella on my Kindle. My surroundings drift away… Come with me? Yes, tonight I think we shall! Thanks for the invite, Valerie, and for sharing your Christmas reading experiences. Folks, you can continue to connect with Valerie at the links below her bio. 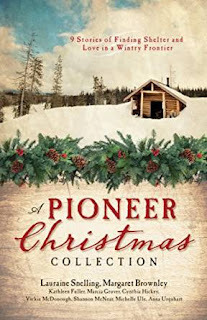 Margaret Brownley, welcome to my Christmas series of Writers on Reading. I’ve been looking forward to these interviews like—well, excuse the cliché—but a kid at Christmas! 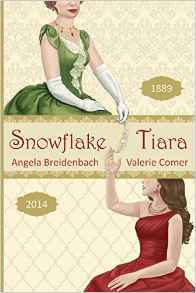 So with your recent Christmas story, The Nutcracker Bride having released in September what is your favorite part about a Christmas-themed story? Hah! How fun! What do you look for when selecting a Christmassy novel or novella to cozy up with this month? It has to be a romance. The true meaning of Christmas must be the driving force that brings the couple together and helps them grow in faith and love. I love stories that lead to change, growth, and new beginnings. a Christmas novel would be complete without those special scents floating around in your head. What are your favorite Christmas goodies to read or write about? Funny you should ask. The heroine in The Nutcracker Bride is a baker. Her German grandmother taught her to cook, so her specialty is German Zimt Makronen Cookies. My story is part of the 12 Brides of Christmas collection and each author provided a recipe to go with the story. Oooh, talk about books to make your mouth water! That sounds just delicious! Is there an element of these books that you’d feel cheated if it wasn’t there? Or something special you like to add to your Christmas stories? The story has to have a happy ending, and if that happy ending culminates on Christmas Eve or day, that makes it all the more special. I like to add something of historical significance to all my stories. In The Nutcracker Bride, the heroine’s grandfather is from Germany and makes nutcrackers. I can’t tell you how many readers have written to tell me that after reading my story they went out and purchased a wooden nutcracker. I love that! Wow, that’s fun. As far back as you remember, what was the first Christmas-related fiction story you read or had read to you? Is there a Christmas book you like to share with your children or grandchildren? Do you have any other special Christmas reading memories? aloud before the children’s bedtime. The grandchildren prefer How The Grinch Stole Christmas and that story has kind of grown on me through the years. Laughing. That’s very cute. What is on your Christmas fiction to-read list this year? And what is your ideal Christmas reading experience? Someone just gave me the The Christmas Box by Richard Paul Evans. So that’s next on my reading list. Yes, that must be hard! But it’s awfully fun to picture you reading Christmas stories all year. Over the years, has any Christmas novel or novella really stuck with you that you’d like to share with our readers? The Gift of the Magi by O. Henry is my favorite Christmas story. After all these years, it still makes me cry. The couple in the story have little money, yet they managed to give each other a gift from the heart. Special. Thank you for sharing your Christmas reading memories, Margaret. Folks, you can continue to connect with Margaret—and find out more about her books—at the links below. Lena, welcome to my Christmas series of Writers on Reading. I’ve been looking forward to these interviews like—well, excuse the cliché—but a kid at Christmas! You’ve been busy! Your recent Christmas story, A Texas Christmas, is a novella collection with other authors. 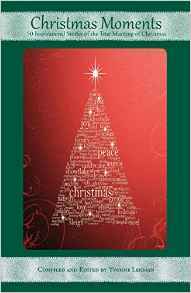 You also have a devotional in 21 Days of Christmas, a book that would be a wonderful devotional to use for Advent. And a novella in the collection Warm Mulled Kisses, that released in October. That makes three Christmas themed books this year! You even took the responsibility to be the publisher for WMK, because it’s getting hard for new authors to be published.) So…what is your favorite part about a Christmas-themed story? I actually like all kinds of Christmas stories. For a novel or novella, I prefer that they have a romantic thread, but for short stories, they just need to have a spiritual or redemptive theme. What do you look for when selecting a Christmassy novel or novella to cozy up with this month? I’ve read several Christmas novels and novellas already this year. I do like for them to have strong internal/external conflicts that are worked out maybe in an unexpected way. Yes! Nothing better than that in a novel or even real life. I don’t know about you, but many of us associate this season with traditional baking. I don’t think a Christmas novel would be complete without those special scents floating around in your head. What are your favorite Christmas goodies to read or write about? I like Christmassy drinks—hot chocolate, spiced cider, etc. And I love homemade fudge and other candies. Mmmm. Hot chocolate sounds ideal about now. Is there an element of these books that you’d feel cheated if it wasn’t there? Or something special you like to add to your Christmas stories? Someone realizing that they haven’t understood the real meaning of Christmas, that Jesus came to earth to bring peace, joy, love, as well as salvation to them personally. read or had read to you? Is there a Christmas book you like to share with your children or grandchildren? Do you have any other special Christmas reading memories? I’m sure I can answer this one. I’m so far from the early Christmas for me and for my children and grandchildren. I do need to hear/read about the first Christmas both from Luke and Matthew. What is on your Christmas fiction to-read list this year? And what is your ideal Christmas reading experience? As I said, I’ve already read a number of Christmas novels and have more sitting on my table waiting for me. I loved Dan Walsh’s Keeping Christmas and Cynthia Ruchti’s An Endless Christmas. And I’ve read a couple of the Barbour Publishing novella collections. They are always good. Over the years, has any Christmas novel or novella really stuck with you that you’d like to share with our readers? And is there one you’re looking forward to rereading? The two I gave the titles of in the last answer. They are both stories that should be read again and again. Also, Dan’s book, The Unfinished Gift from several years ago. Excellent recommends! Thanks so much for sharing, Lena! Folks, you can continue to connect with Lena—and find out more about her books at the links below her bio. And psst, Cynthia Ruchti—recommended above—visited us during this Christmas Series. If you haven’t already, drop by and read her Christmas stories while you’re here! 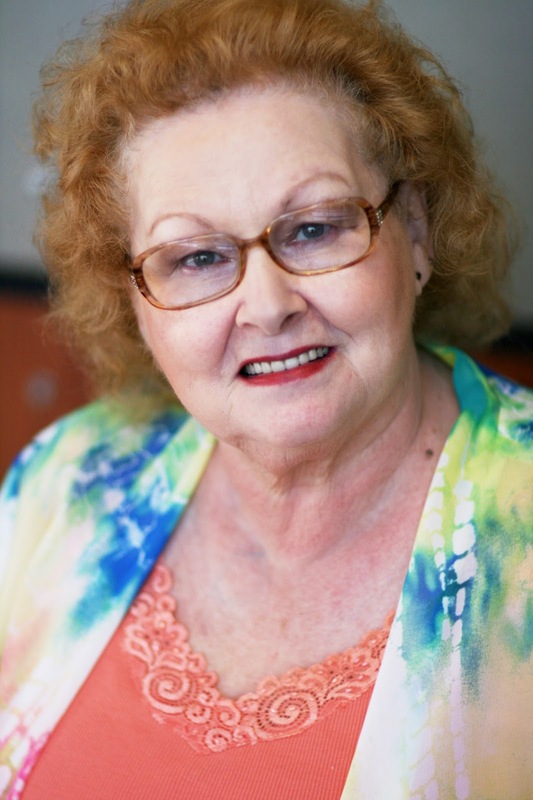 Award-winning author Lena Nelson Dooley has had more than 800,000 copies of her books sold. 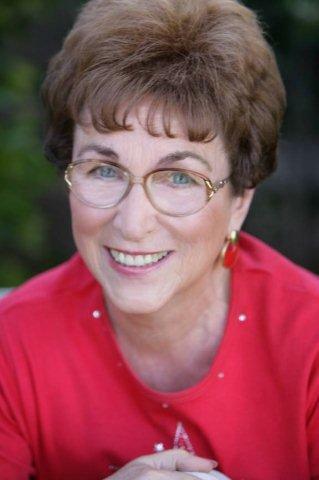 She is a member of American Christian Fiction Writers http://www.acfw.com/ and the local chapter, ACFW - DFW. 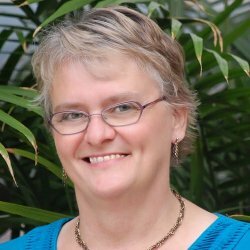 She's a member of Christian Authors' Network, CROWN Fiction Marketing, and Gateway Church in Southlake, Texas. Yvonne, welcome to my Christmas series of Writers on Reading. I’ve been looking forward to these interviews like—well, excuse the cliché—but a kid at Christmas! While you’ve written Christmas novels, you mentioned that there is a story really close to your heart, can you tell us about it? Instead of one of my novels, More Christmas Moments is the book I want to mention and hope others read. This is the fifth book in the Moments series. Each has an average of 50 stories written by 40-50 authors. Lives have been touched and changed by authors revealing their hurts, losses, joys, and faith. Lives have been enriched by stories of Christmas memories and experiences. Each focuses on the true meaning of Christmas. Some are written by established writers. Some stories are the first publication of an author. 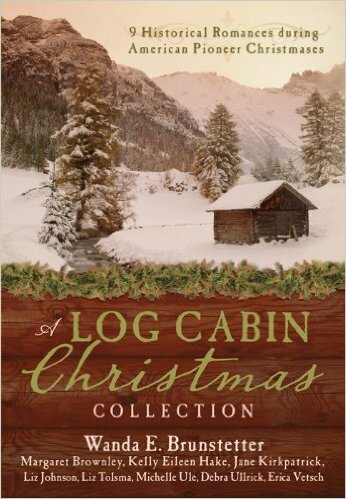 Sounds like the kind of Christmas reading that would really leave a reader uplifted. Thanks for sharing, Yvonne. What do you look for when selecting a Christmassy novel or novella to cozy up with this month? 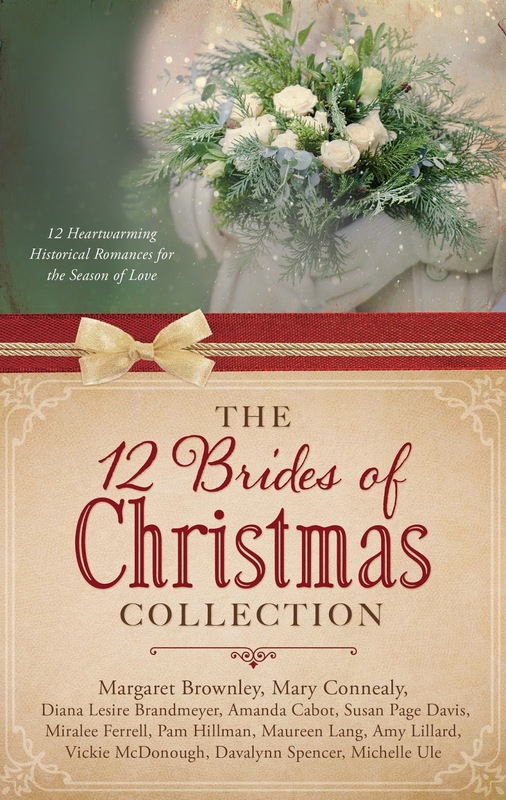 My favorite is a romance, with a Christmas setting. The theme of revealing God’s love, and a story of human love, is such a great combination. Oooh, yes, that does produce delightful reading. Is there an element of these books that you’d feel cheated if it wasn’t there? Or something special you like to add to your Christmas stories? I love a Christmas story that includes the snow beginning to fall on Christmas Eve. There’s just something romantic and wonderful about that. But I’ve written several novels with a Christmas setting and particularly like the one I set in Hawaii. No snow and Santa arrived in his canoe. Setting is important, but more than that, it’s the love and faith and hope that gives life to a story. Although my love is fiction, I recommend these Moments books because of what they mean to the writers and the readers. Some use them as devotional books. Others choose stories to incorporate the meaning into their daily living, such as praying specifically. Some call to say they really identify with a particular story. One writer could never get her family to listen about Jesus. But they read her article, began to talk with her, and the entire family accepted Christ as Lord and Savior. 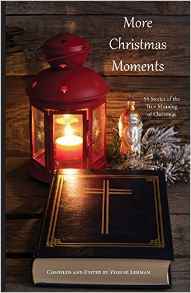 These books are Divine Moments, Christmas Moments, Spoken Moments, Precious Precocious Moments, and More Christmas Moments. Thank you for sharing those Moments and this moment with us, Yvonne. I hope you have a lovely Christmas and enjoy your Christmas reading. 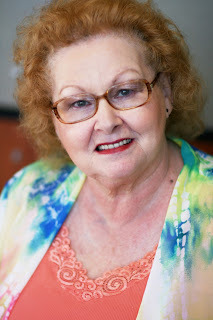 Folks, you can learn more about Yvonne Lehman and her books at the links below.